Rüstem Paşa Mosque has the most beautiful and delicate examples of classical Iznik tiles dating back to 16th century. Rustem Pasha Mosque (Rüstem Paşa Camii) is a hidden gem of a mosque that some describe as a miniature Blue Mosque, without the crowds. It’s a little tricky to find but it’s well worth it – the stunning beauty of the interior is matched by the feeling of finding a little oasis in the midst of a hectic area. 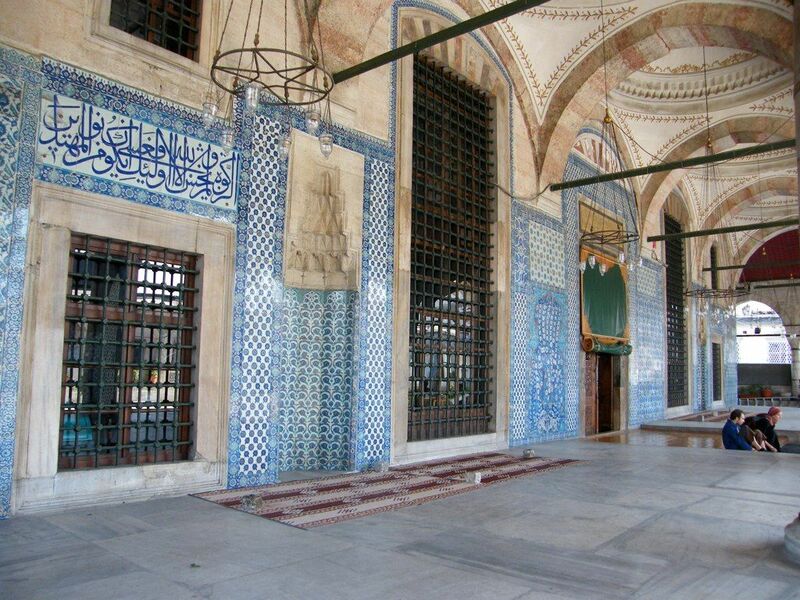 What is the Rustem Pasha Mosque history? It was designed by the famous Ottoman architect, Mimar Sinan for Rüstem Paşa, Grand Vizier to Süleyman the Magnificent. However, he died in 1561, before it could be completed in 1563. 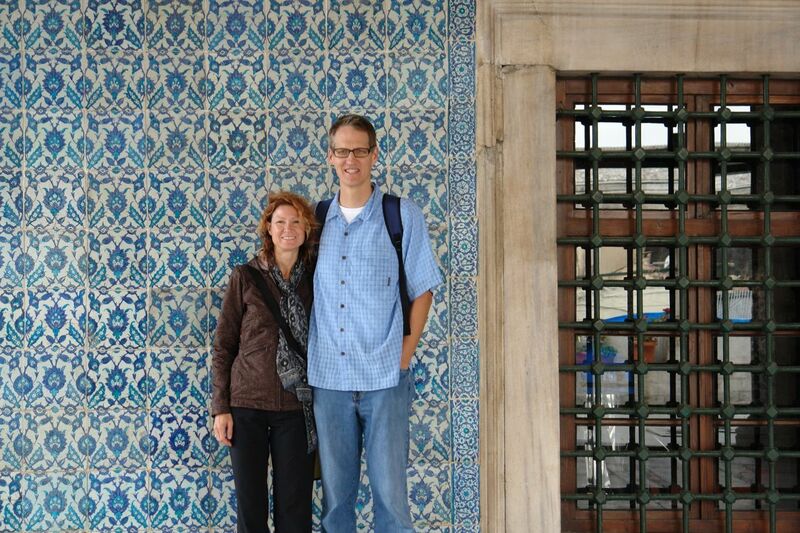 What makes this mosque stand out is the gorgeous interior, covered in Turkey’s famous Iznik tiles. These intricately designed blue tiles come in a wide variety of floral and geometric patterns. 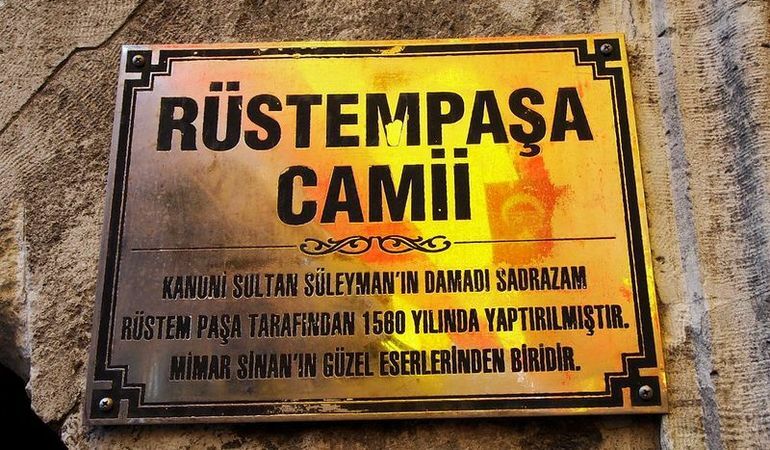 The Grand Vizier entered popular culture again in recent years, in the popular Turkish TV show, Muhteşem Yüzyıl, which was based on the life of Süleyman the Magnificent (Rüstem Paşa was married to one of his daughters). What are some other designs by Mimar Sinan? 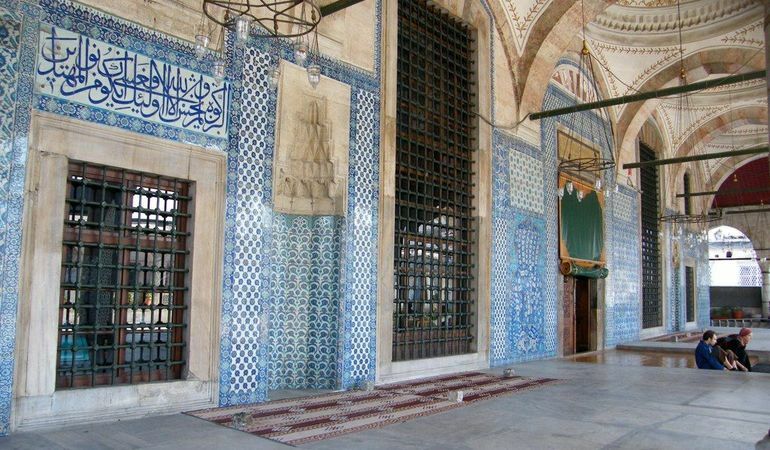 If you’re interested in seeing other works by this legendary architect, then check out the Süleymaniye Mosque, the Kilic Ali Pasa Mosque complex, and the Mihrimah Sultan Mosque. What are the Rustem Pasha Mosque opening hours? The mosque is open from 10am-6pm every day, but is closed to visitors during prayer times. There is no Rustem Pasha Mosque ticket price, but donations are welcome. Where is Rustem Pasha Mosque? 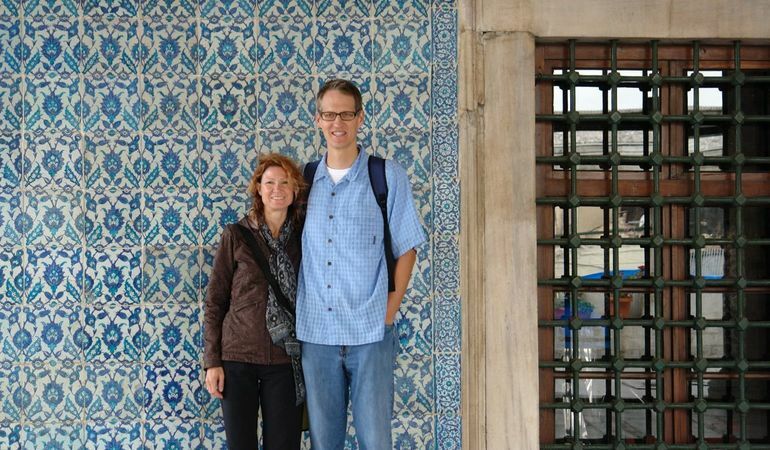 Finding how to get to Rüstem Paşa Mosque, isn’t obvious, but it also isn’t impossible. From Eminönü tram stop, head past Yeni Camii (New Mosque) towards the entrance of the Spice Bazaar, but turn right when you reach Mehmet Efendi Kurukahveci (Turkish coffee shop). At the end of this road, there is a small entrance to the mosque on the right hand side that you will have to climb stairs to reach. Have you checked Kılıç Ali Pasha Mosque? Make sure to wander in the streets of Tahtakale open-air market which is right next to this small mosque. 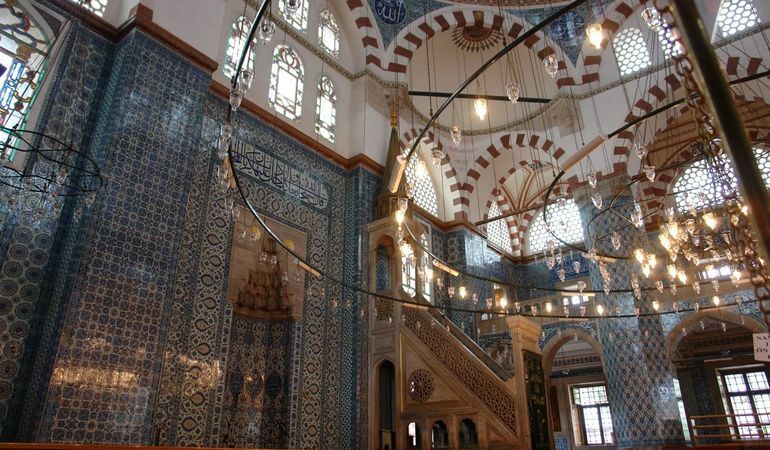 Rüstem Paşa Mosque, designed by the famous Ottoman architect Mimar Sinan, is a hidden gem of a mosque that some describe as a miniature Blue Mosque, without the crowds. Dear , thank you for contacting with Istanbul Tour Studio. We received your message. Our support team will get back to you within the shortest period of time. Dear , form has been sent to your friend. Thanks for sharing!